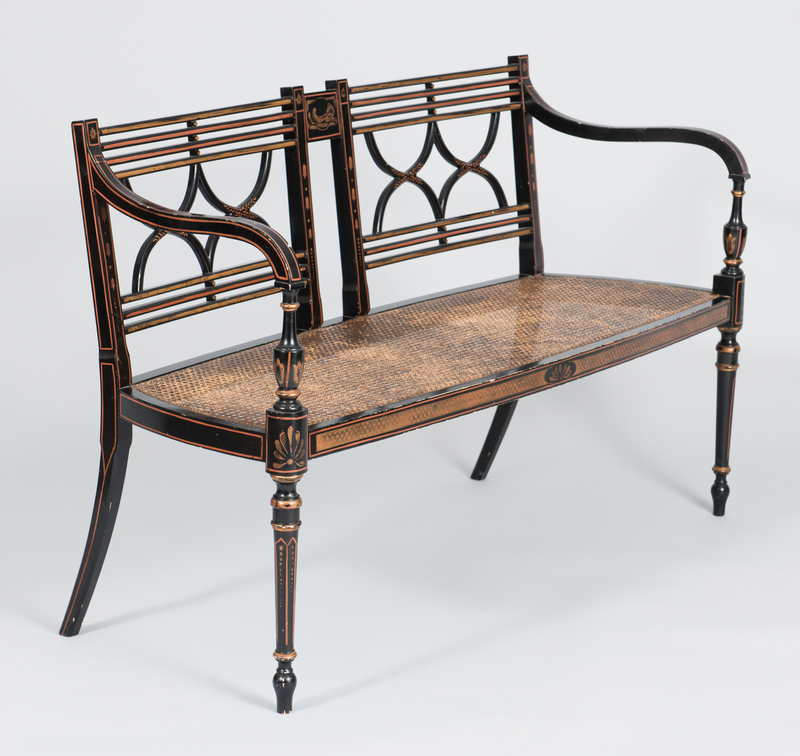 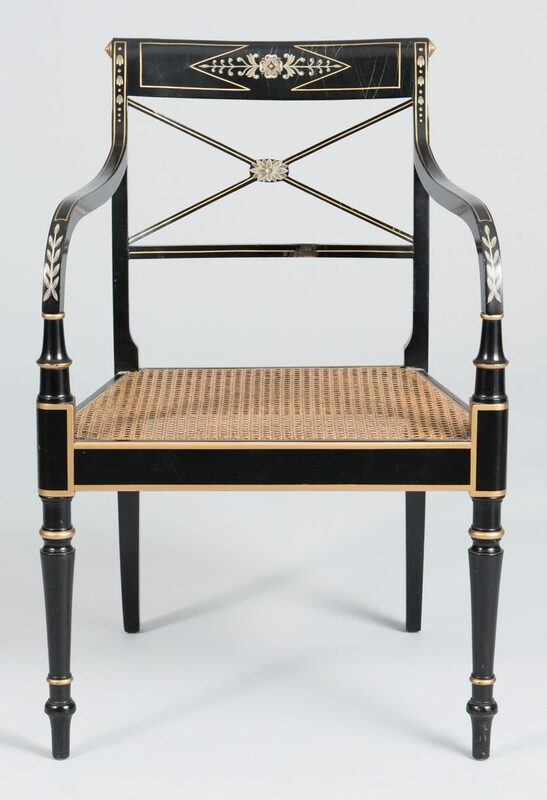 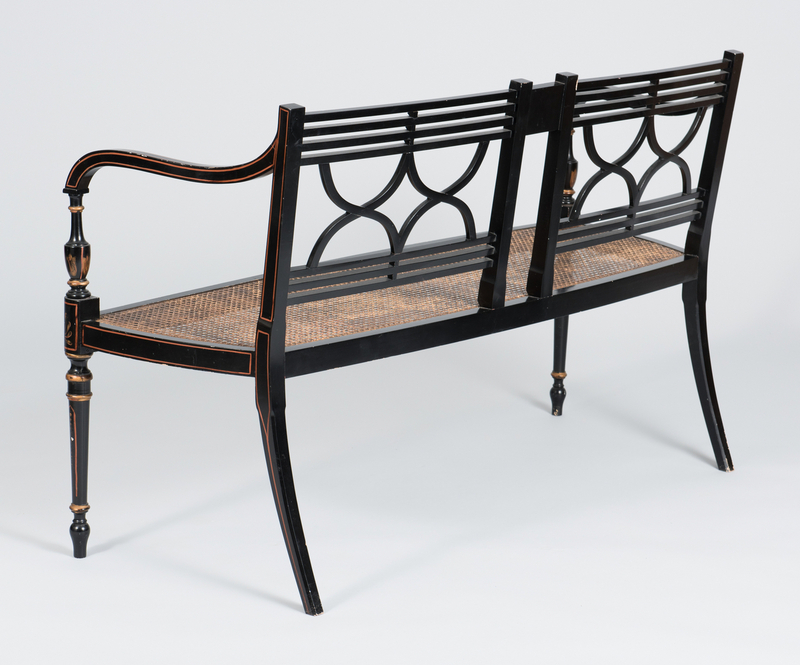 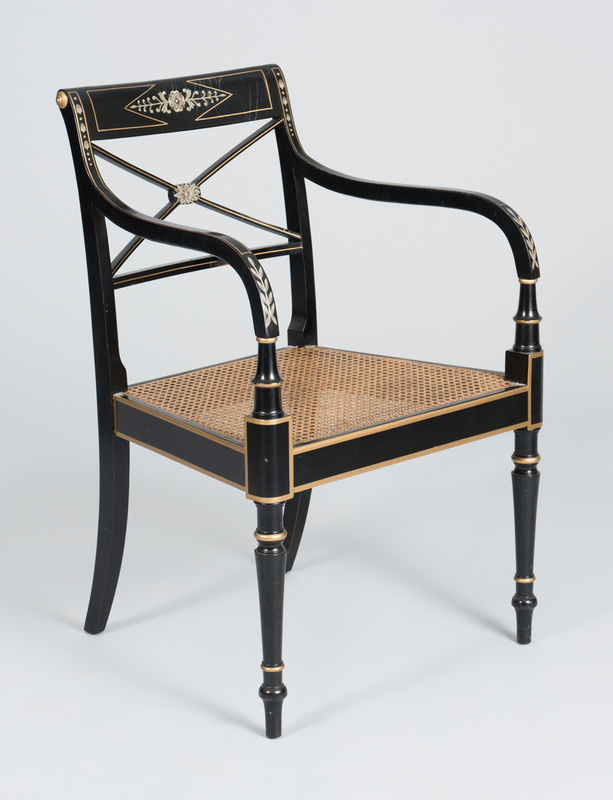 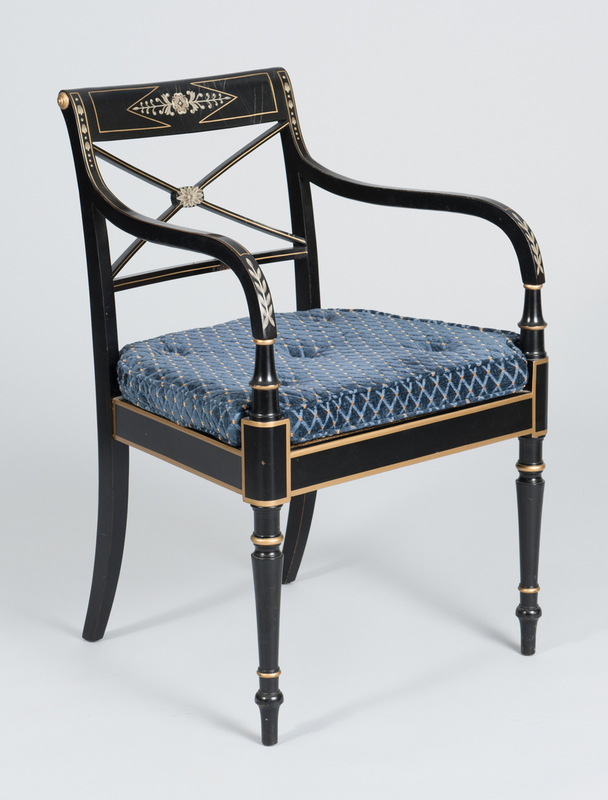 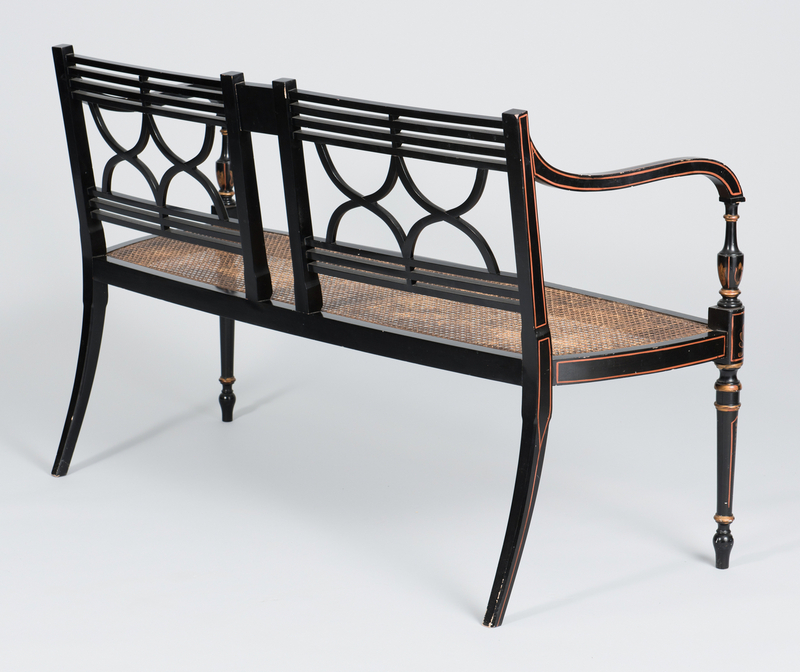 Regency style ebonized and gilt painted settee, early 20th century, with cane seat, together with a modern 20th century Regency style ebonized and gilt painted armchair. 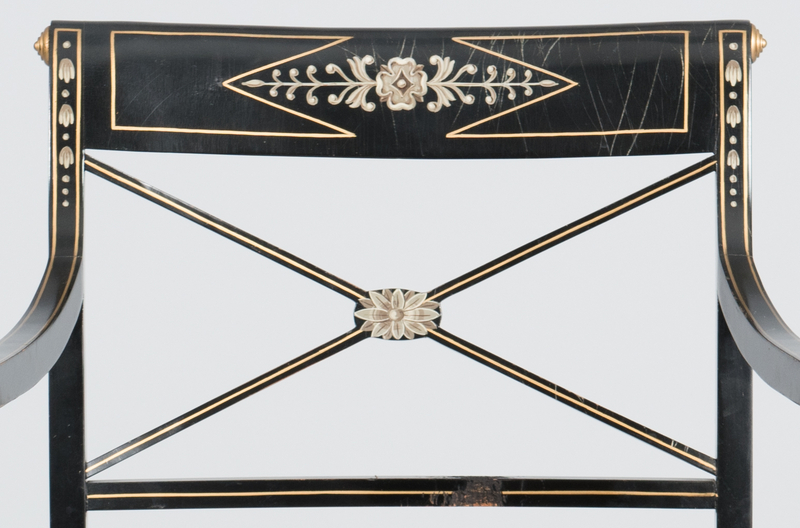 Chair with Kindel Furniture Company label to the underside. 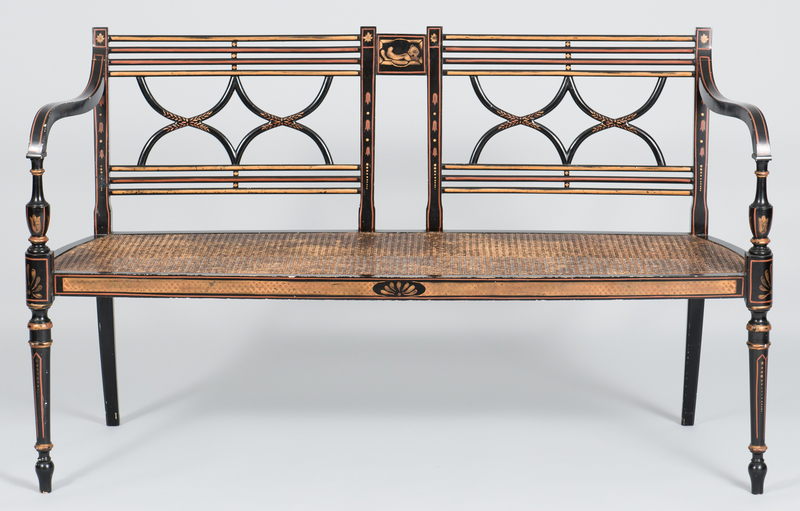 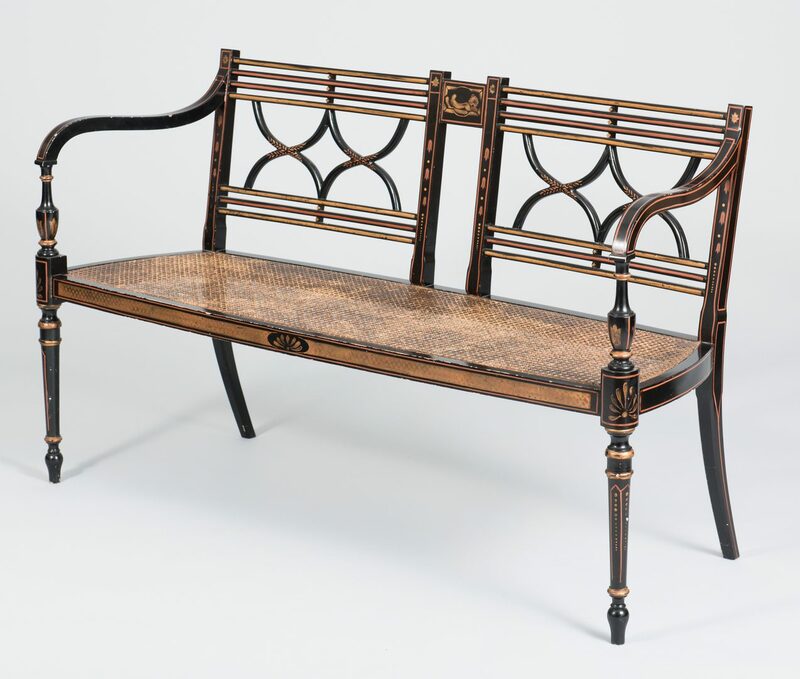 Settee measures 34″ H x 53″ W x 19″ D. Chair measures 33″ H x 23″ W x 20″ D. Provenance: Collection of Charles and Ann Wells, Nashville, Tennessee. 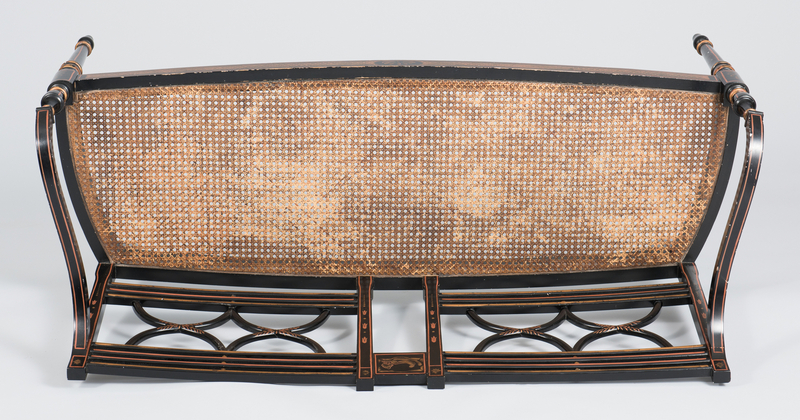 CONDITION: Settee with scattered general wear and minor losses to paint, otherwise good condition. 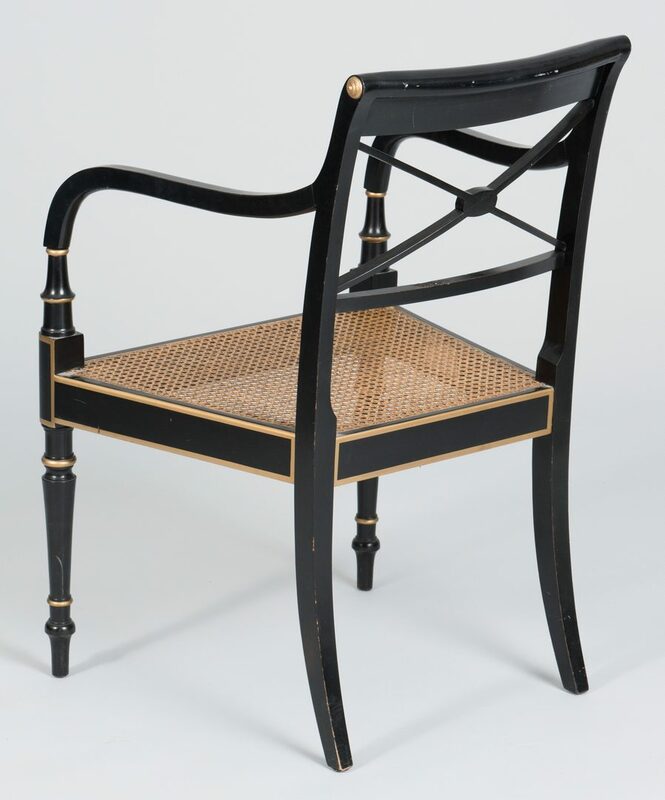 Chair with scattered losses to paint, surface scratches to crest rail and abrasions to lower rail.